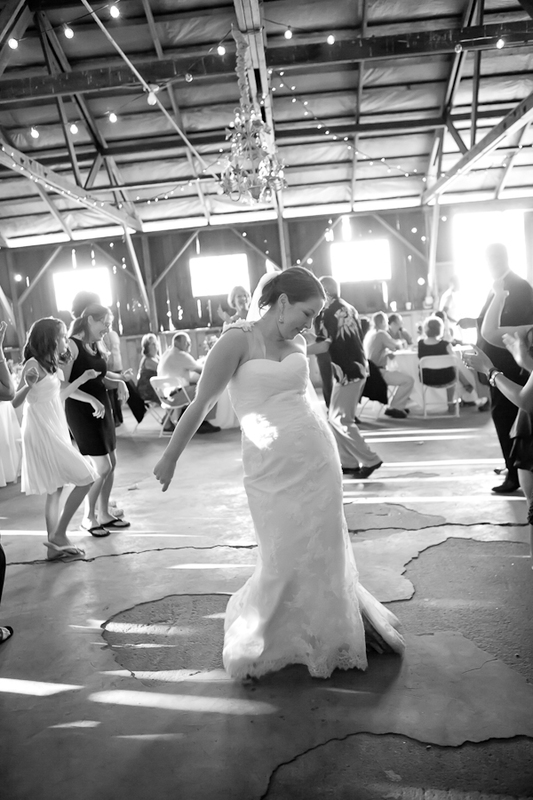 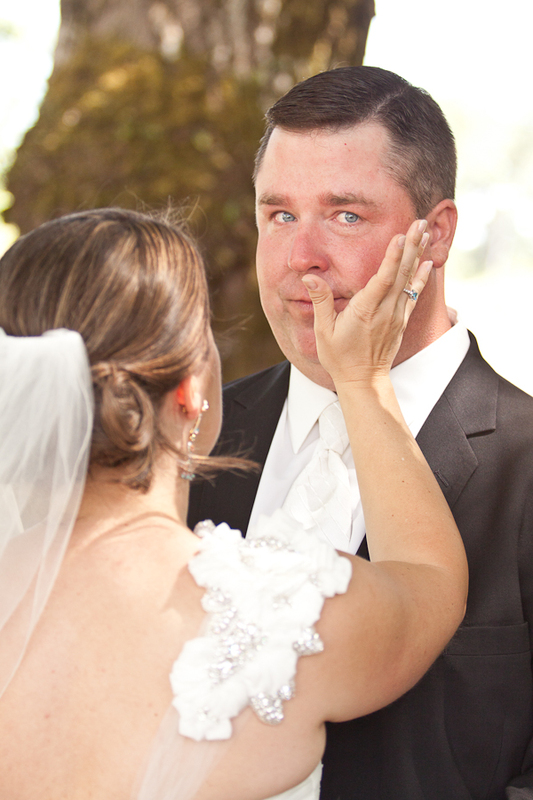 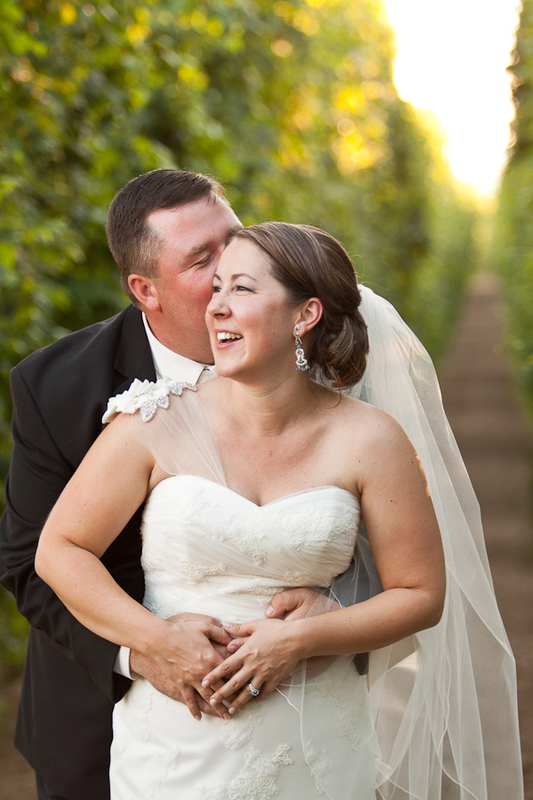 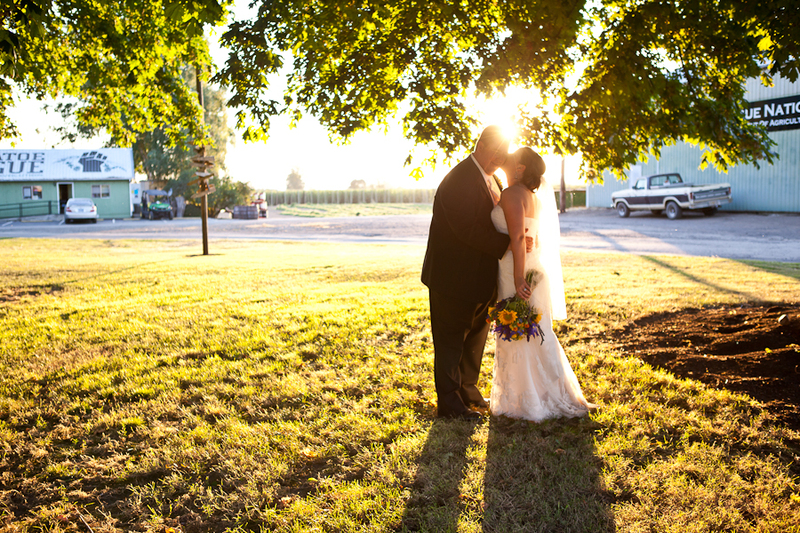 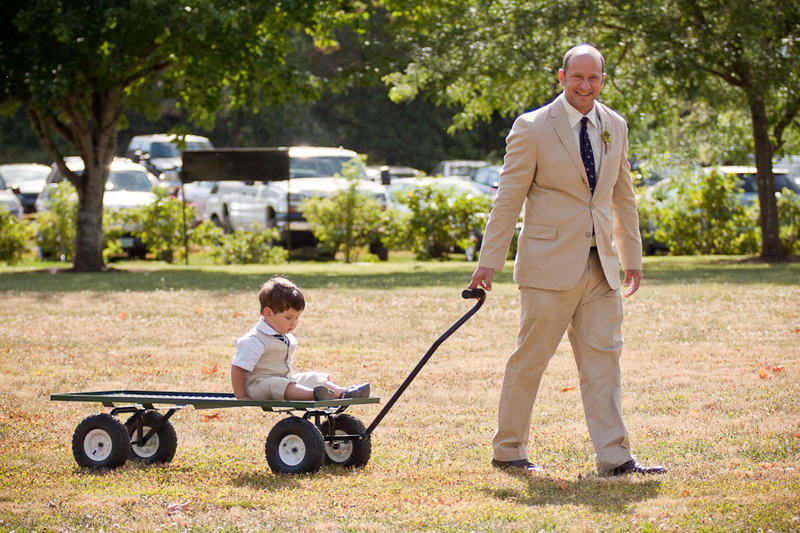 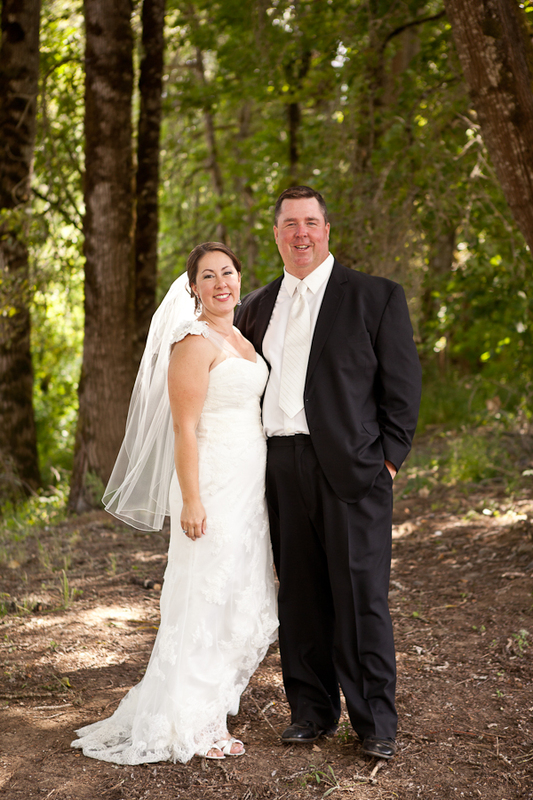 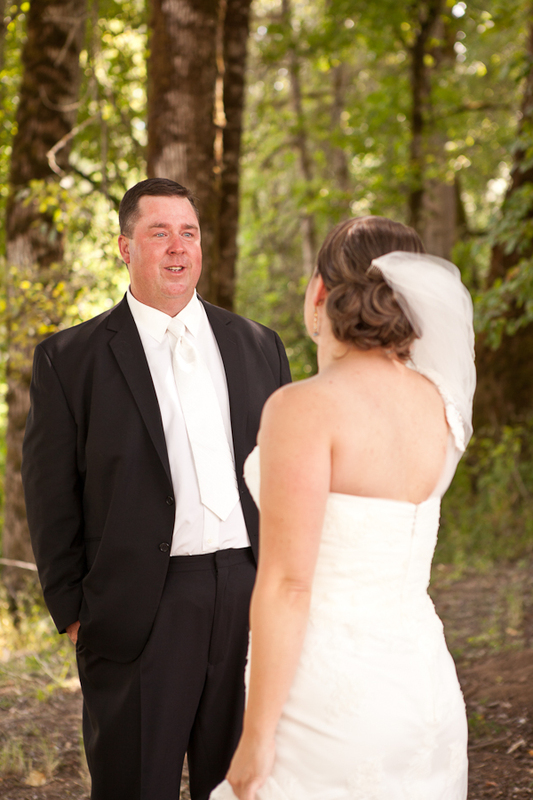 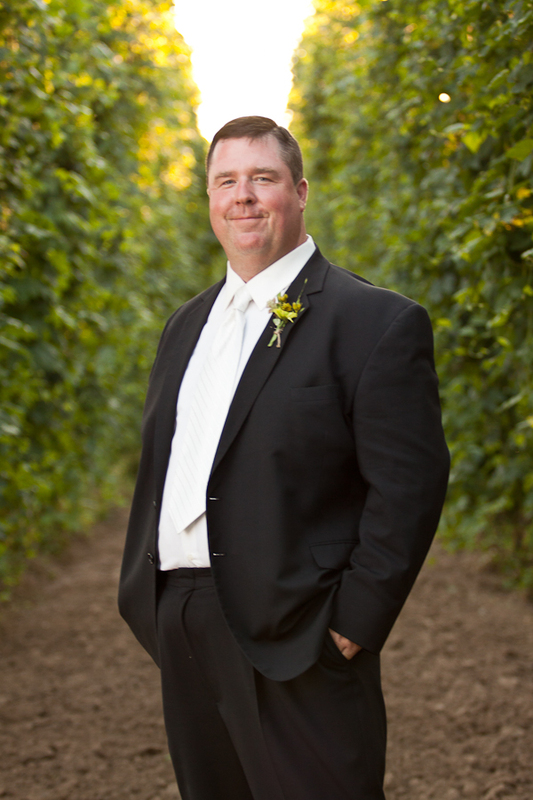 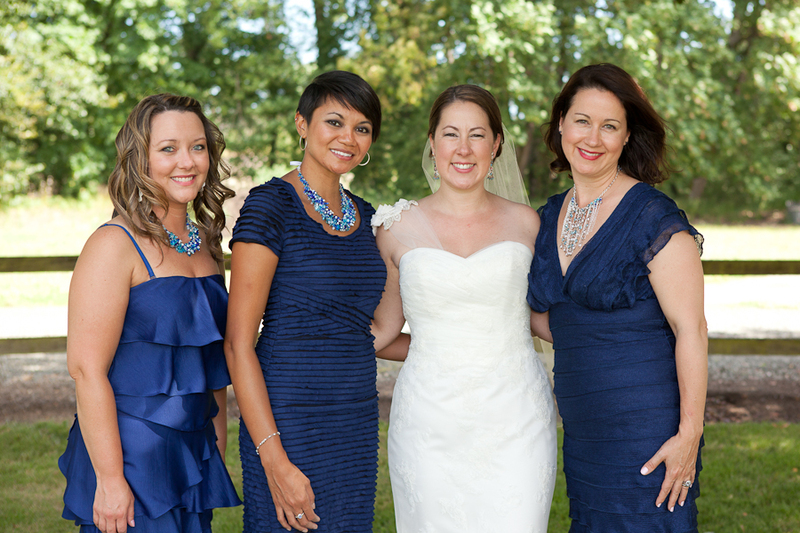 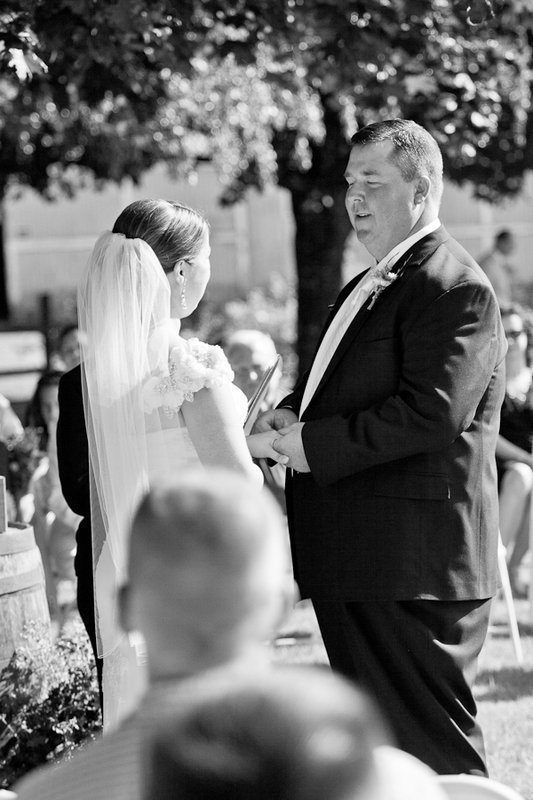 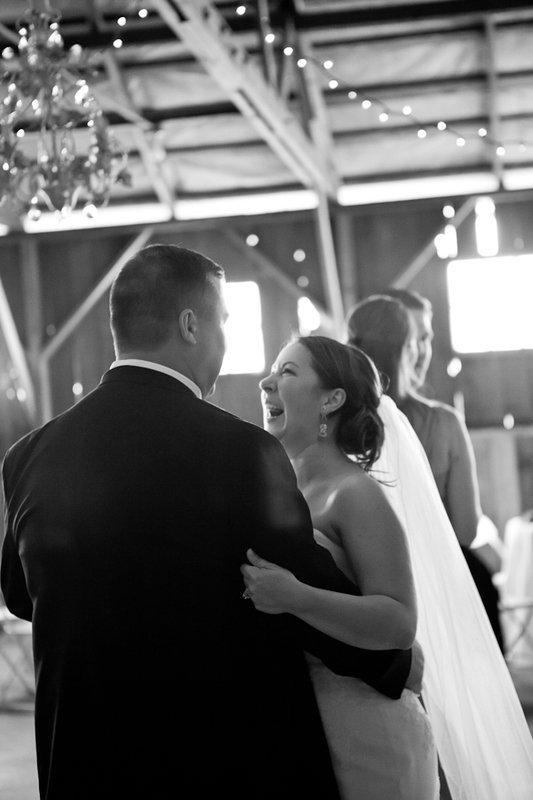 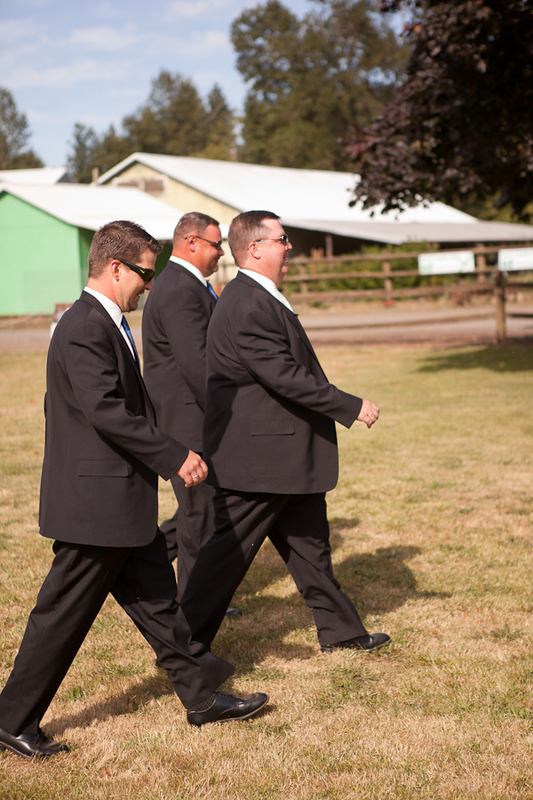 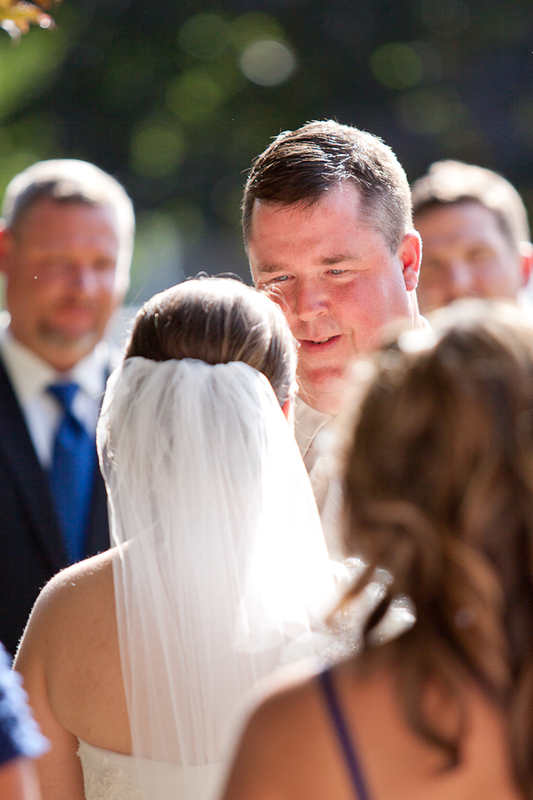 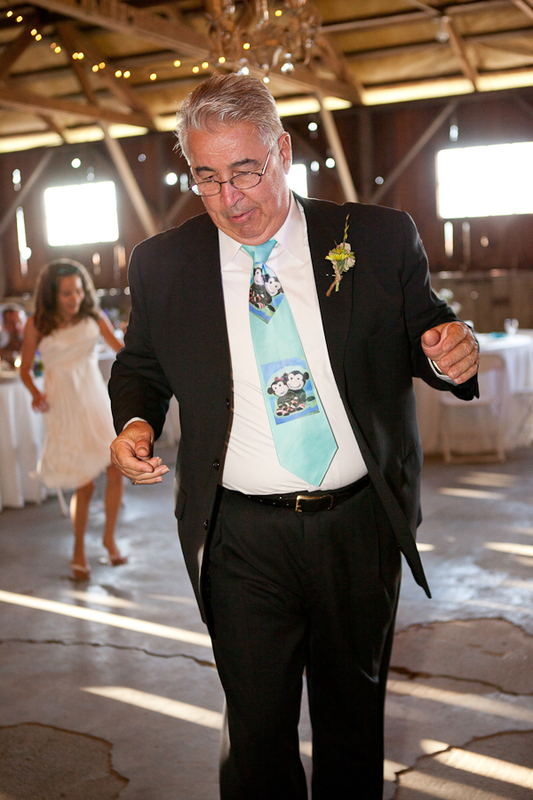 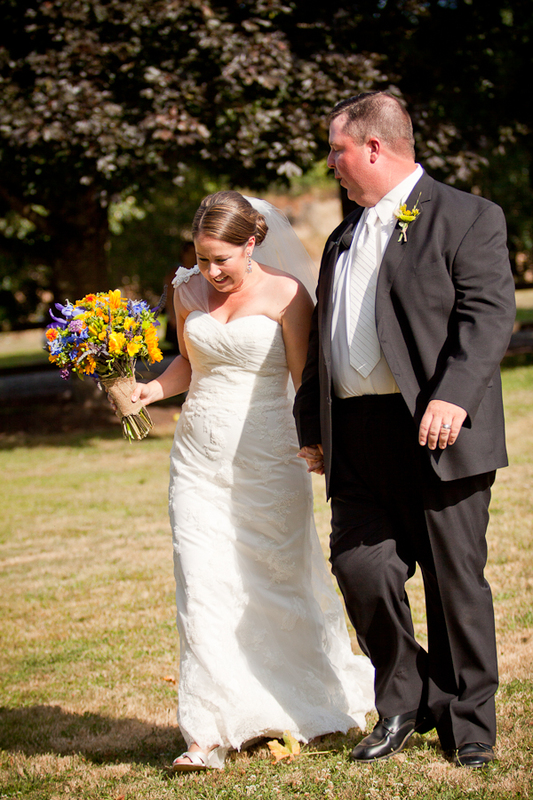 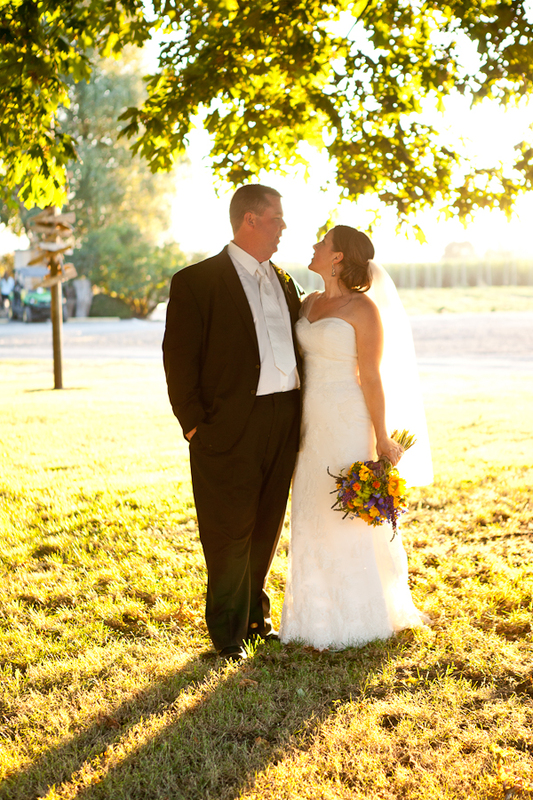 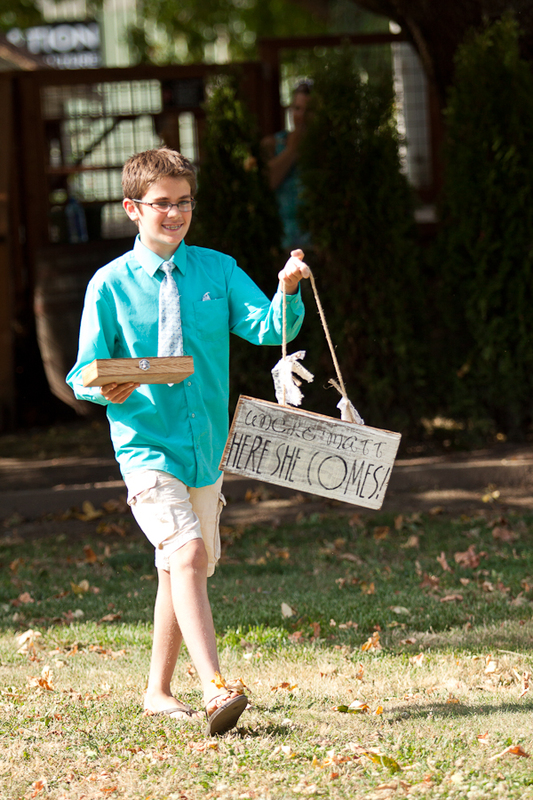 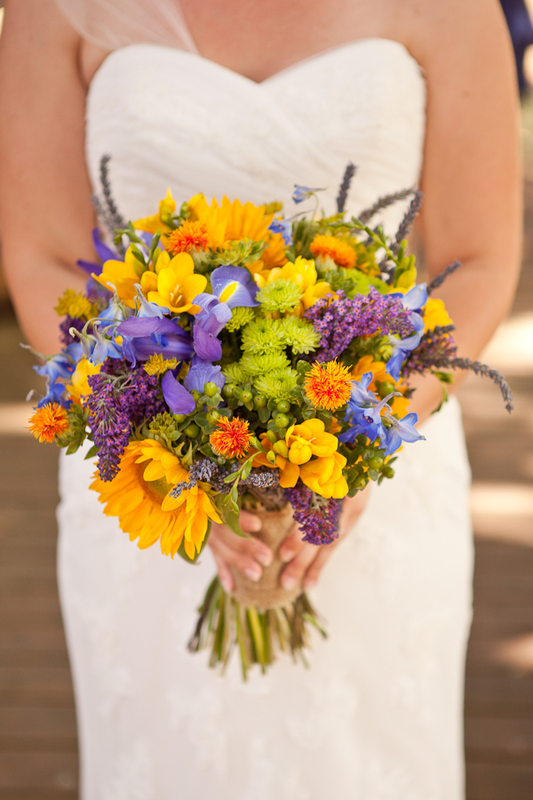 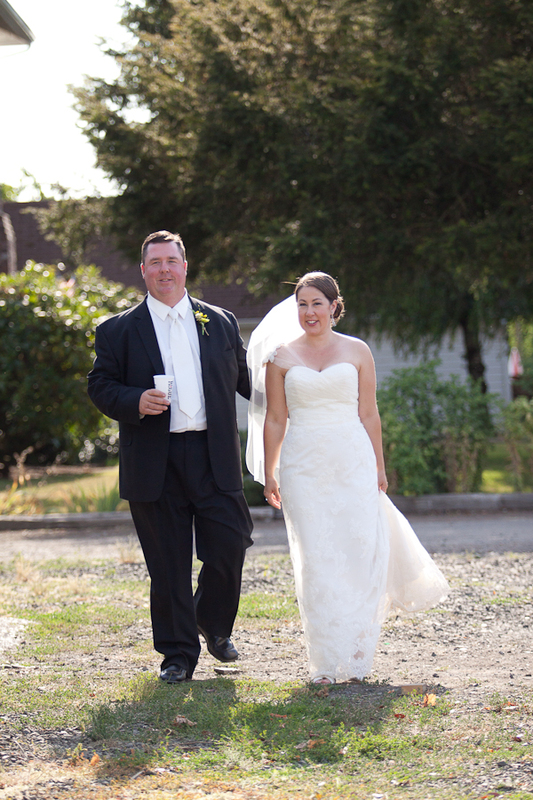 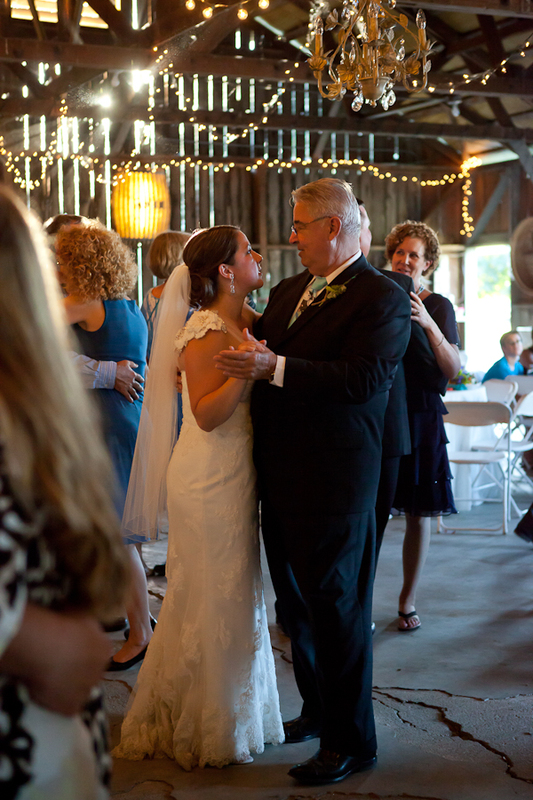 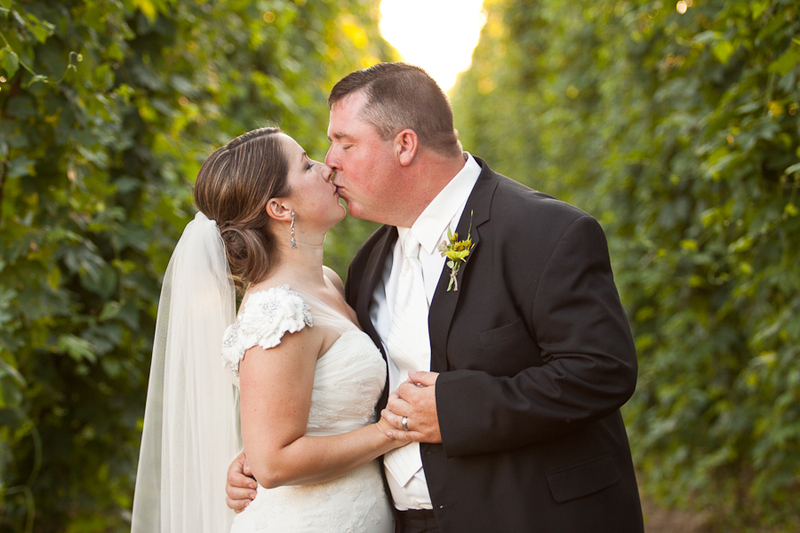 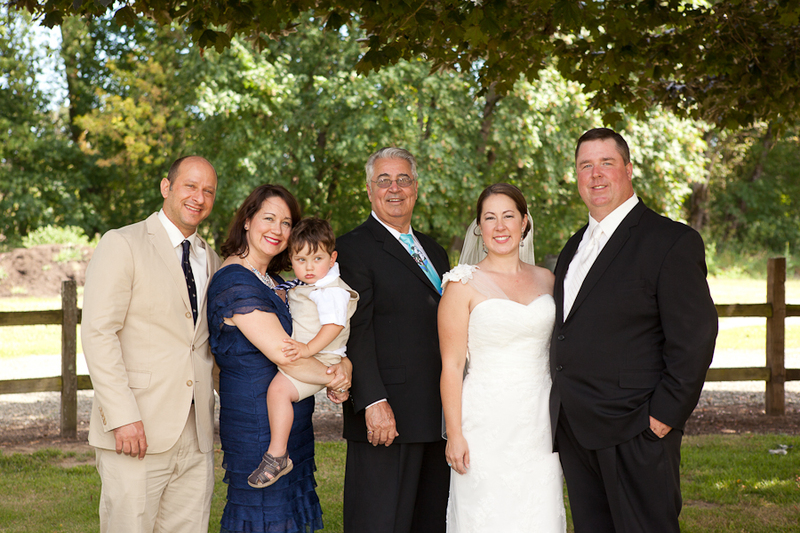 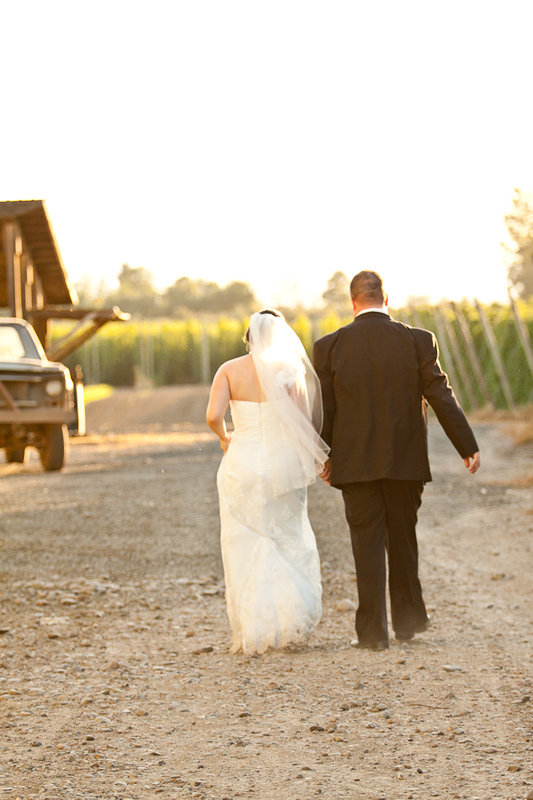 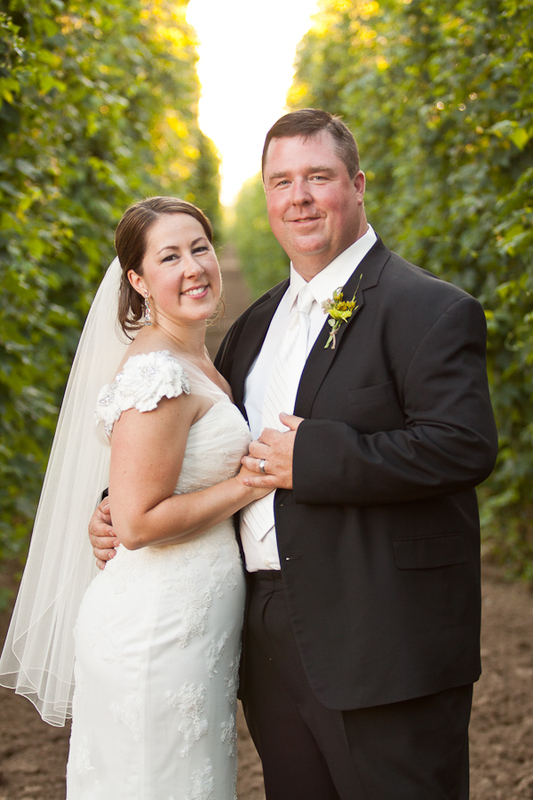 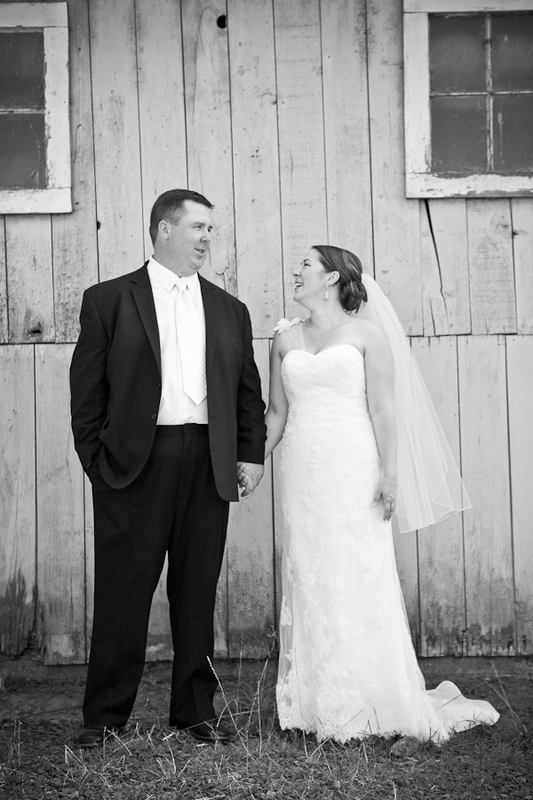 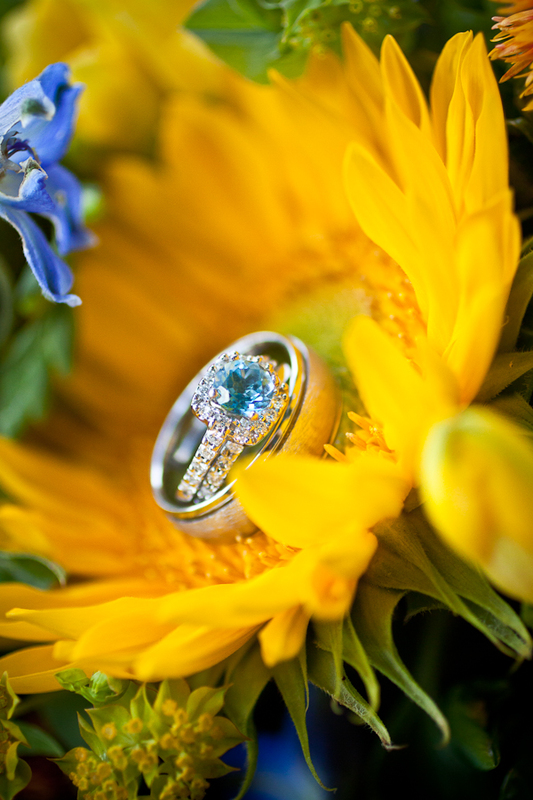 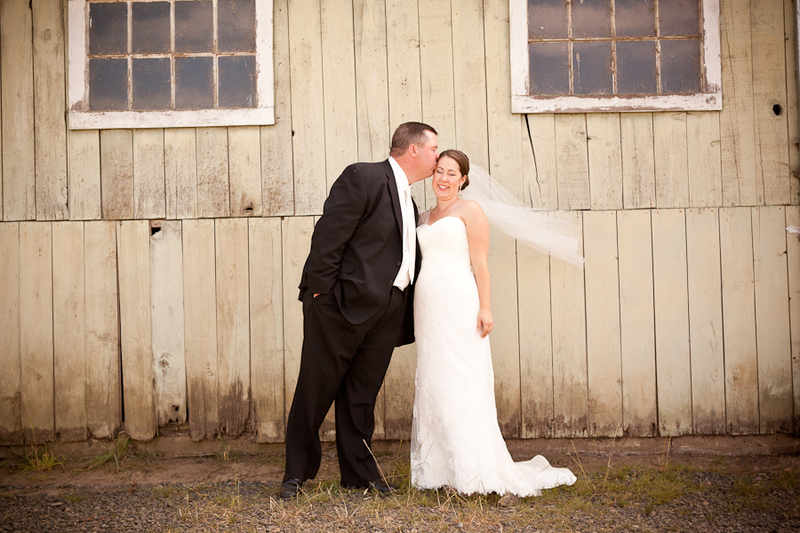 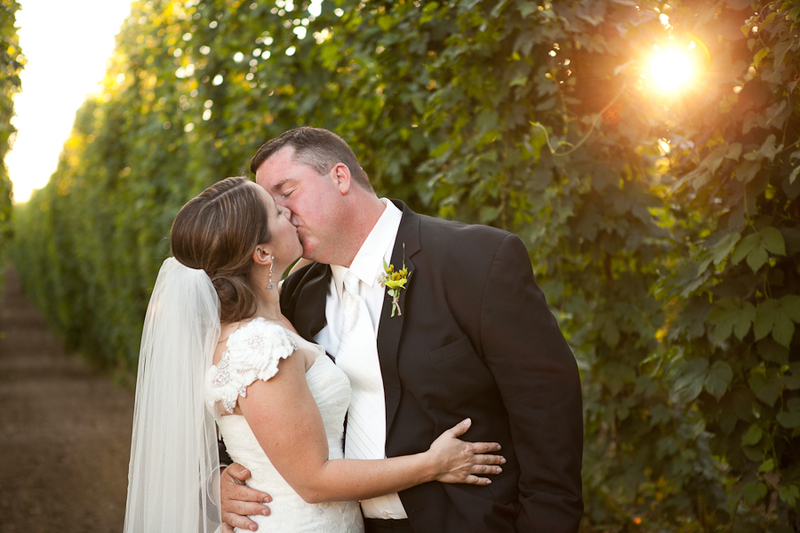 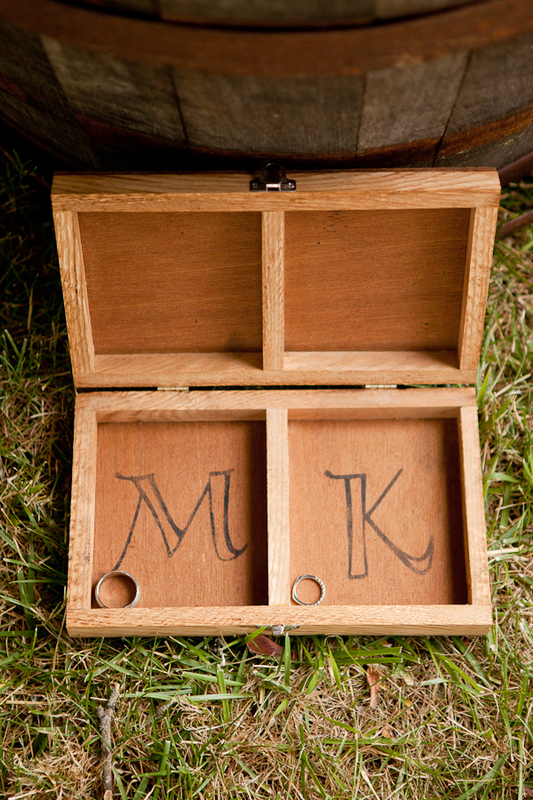 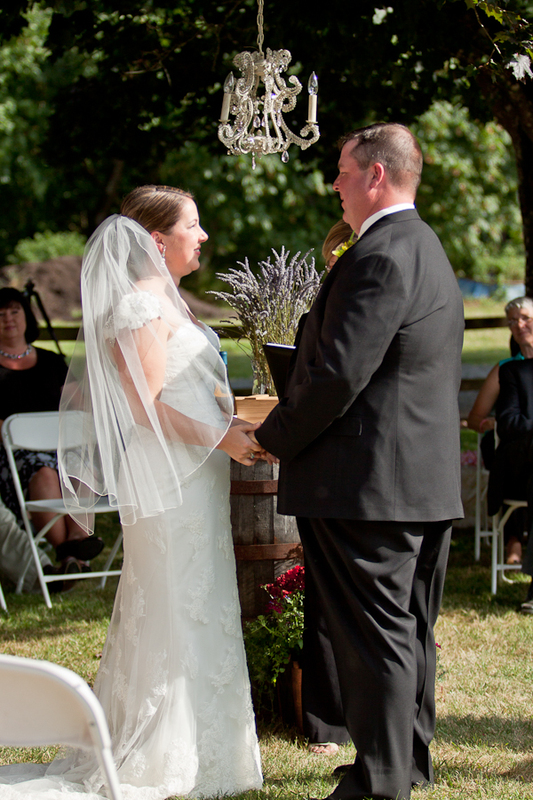 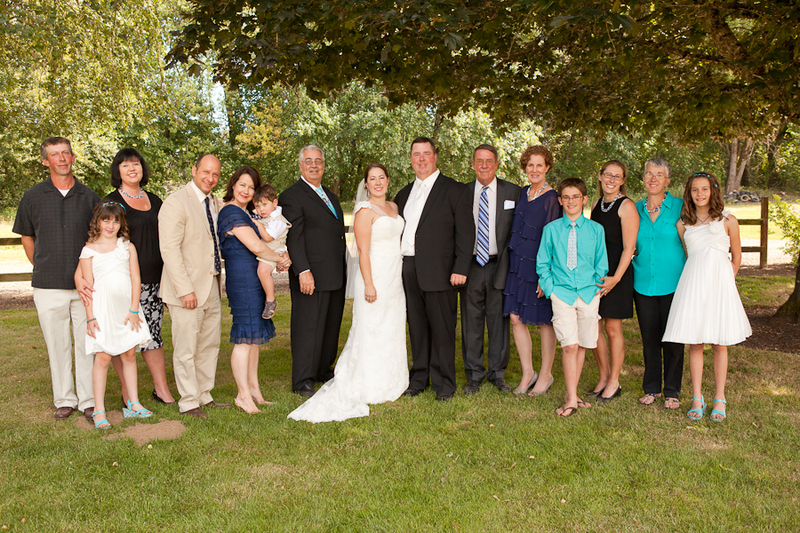 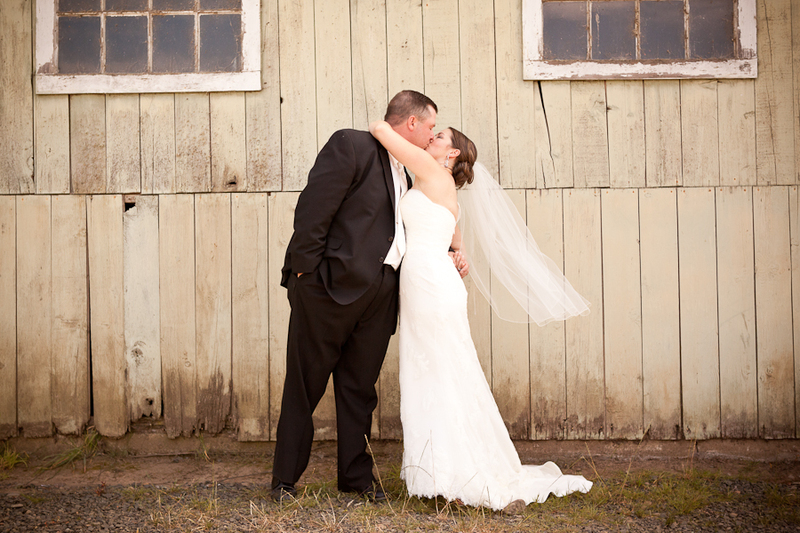 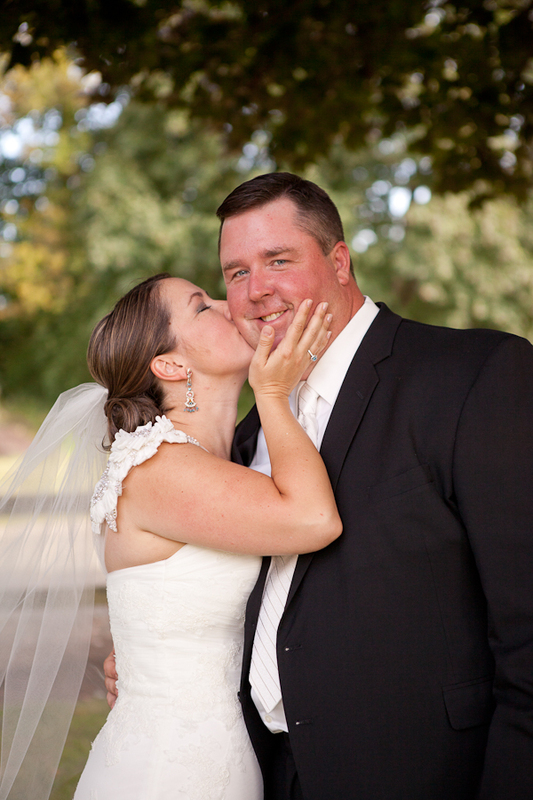 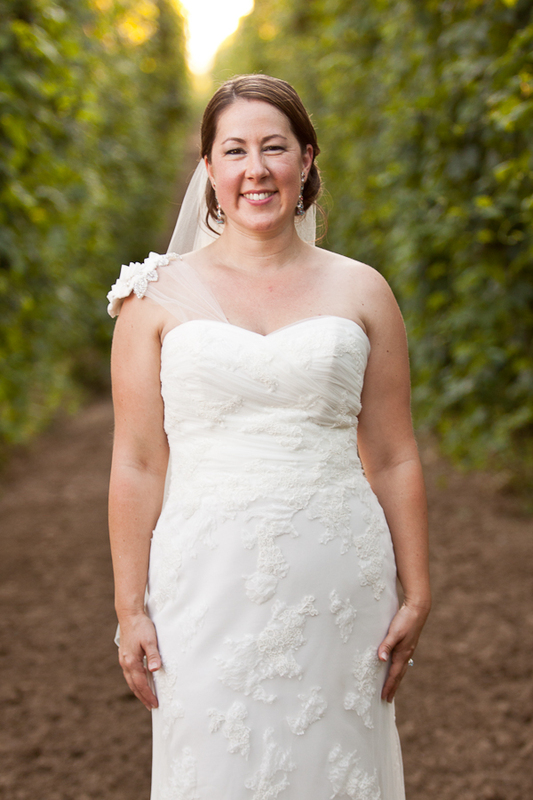 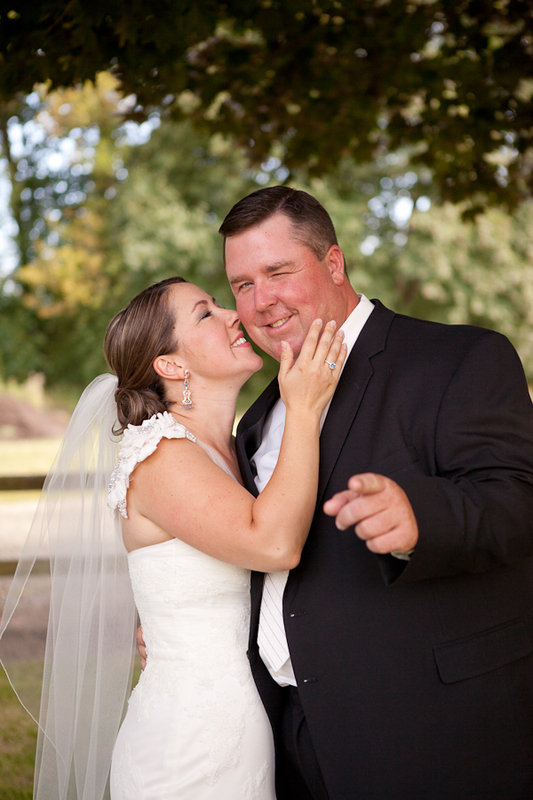 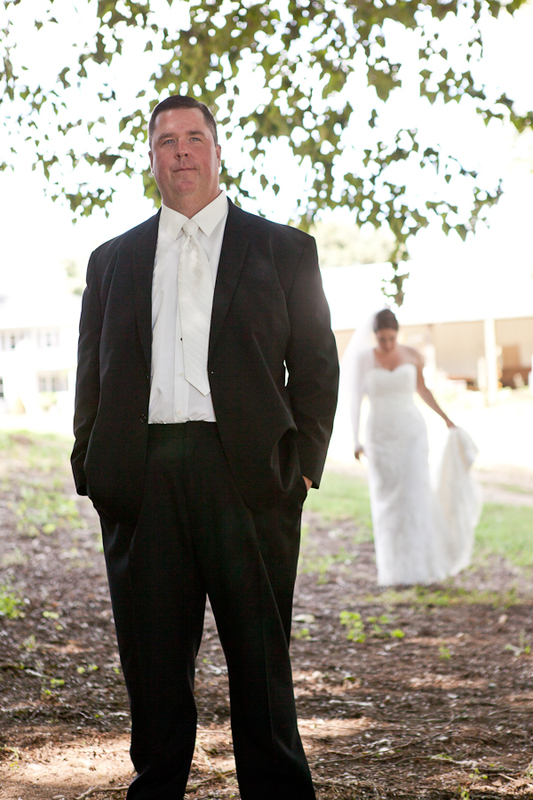 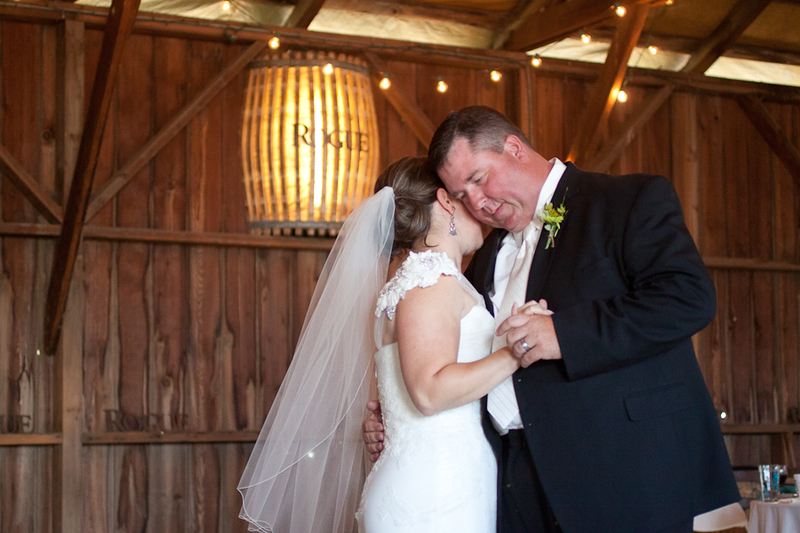 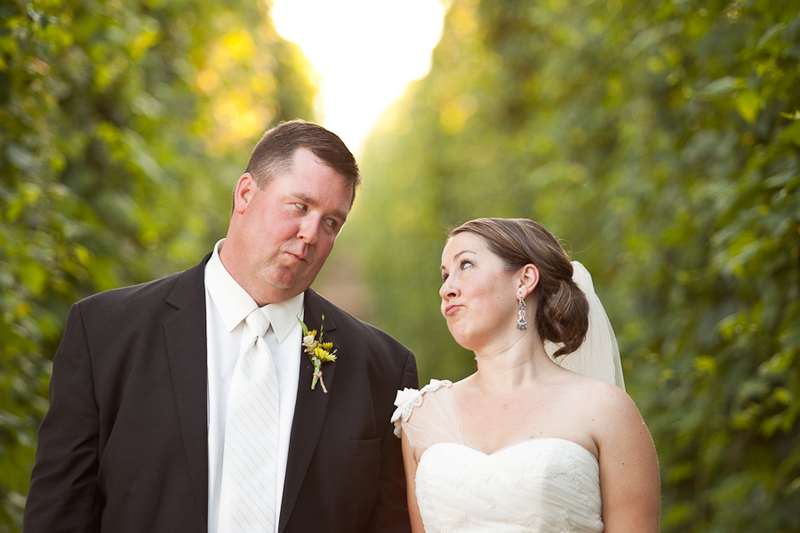 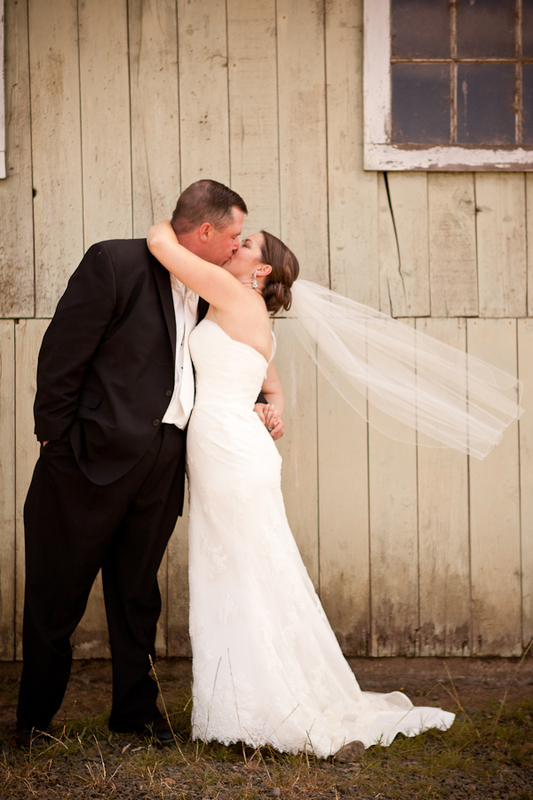 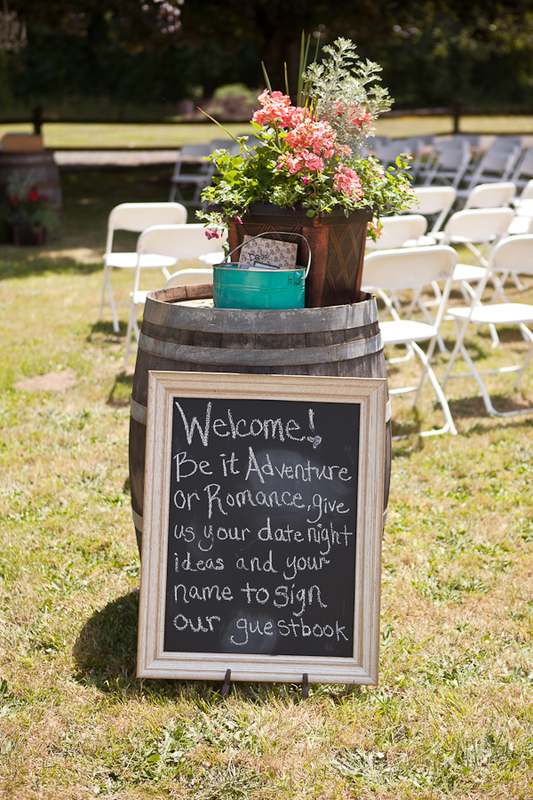 Kristen and Matt were married on a bright and sunny day in Independence, OR at the Rogue Hop Farms. 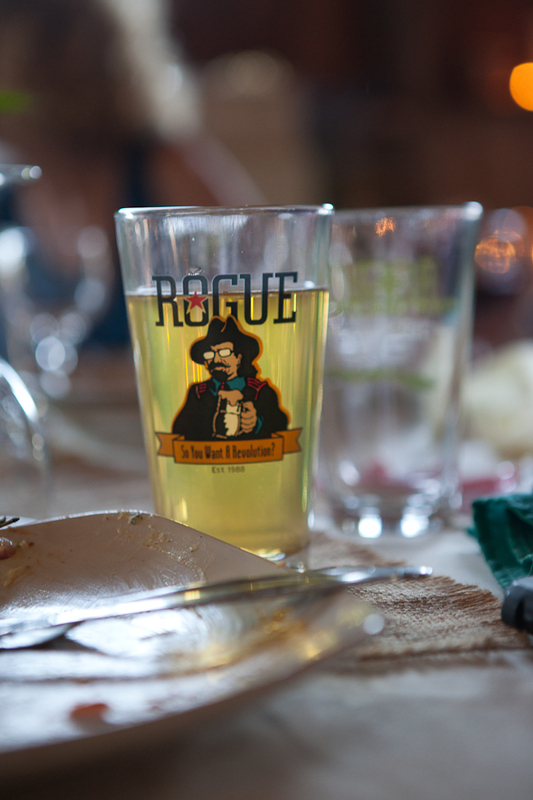 If you haven’t had a chance to check this place out, you should definitely go! 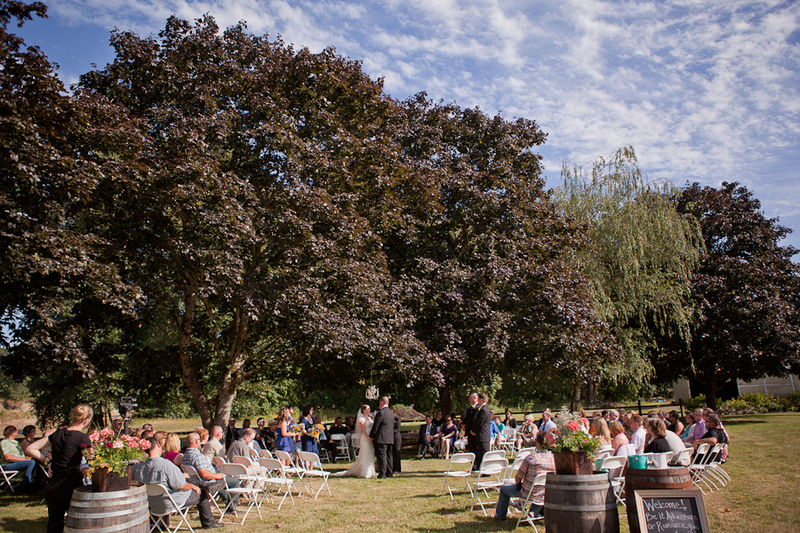 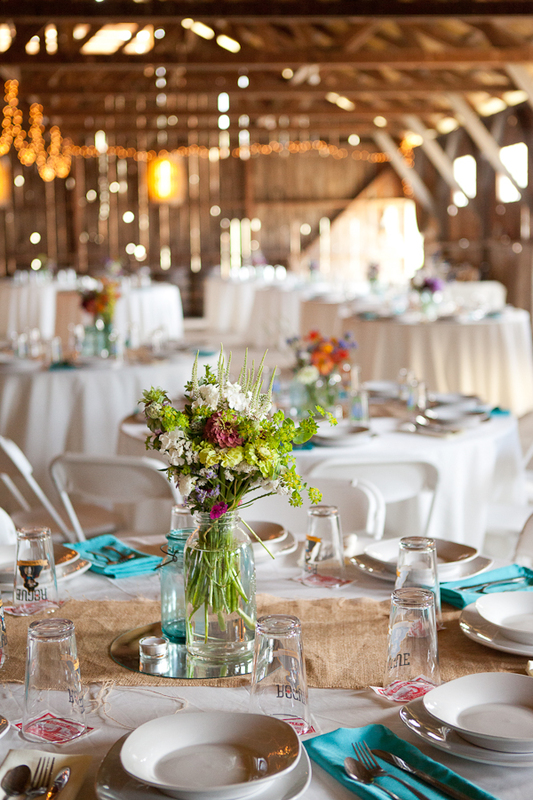 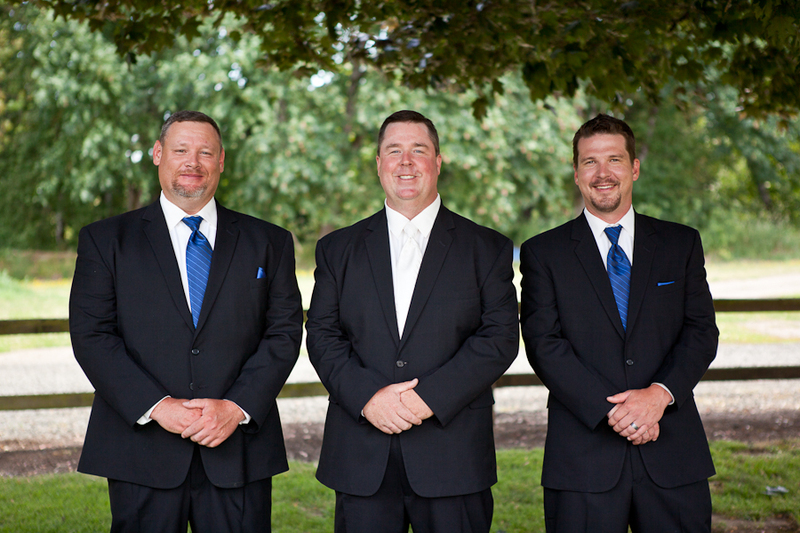 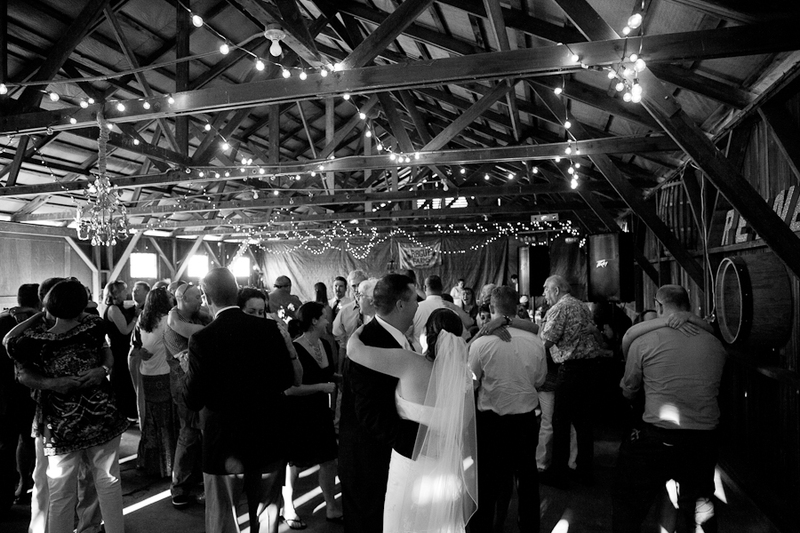 They have a tasting room open to the public, as well as a lovely venue for weddings. 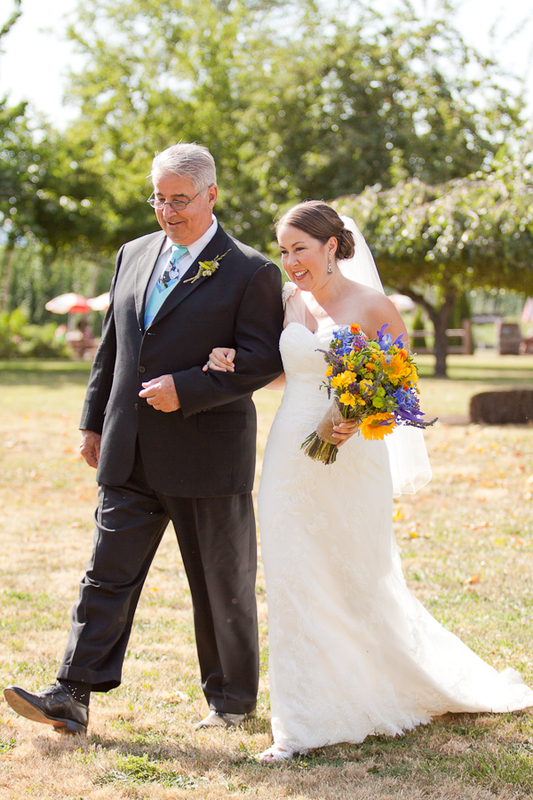 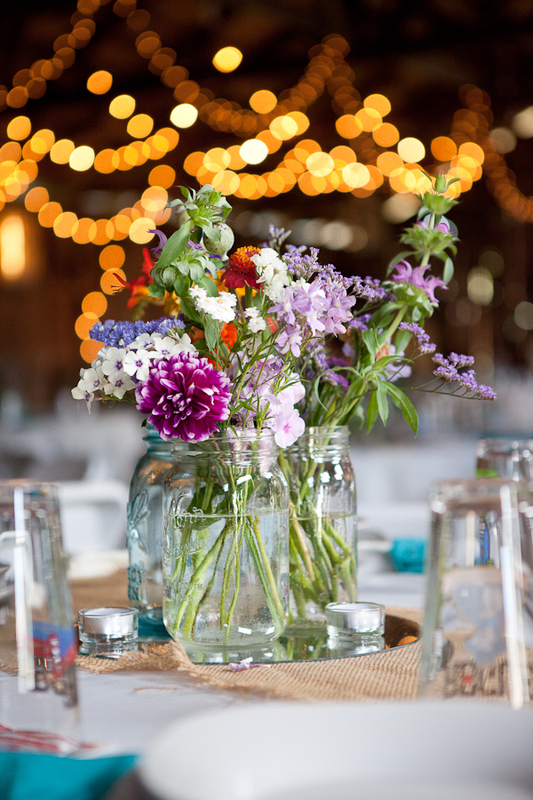 Kristen looked absolutely gorgeous in a dress that had some custom additions by a close family friend, and her bouquet with mixed flowers (and that beautiful sunflower) and the mixed wild flowers in the mason jars on each table was a perfect compliment to the summery feel of the day. 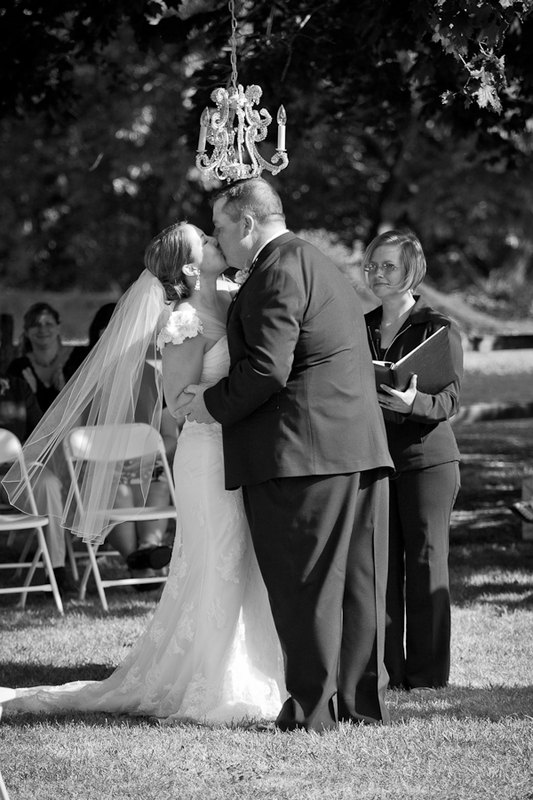 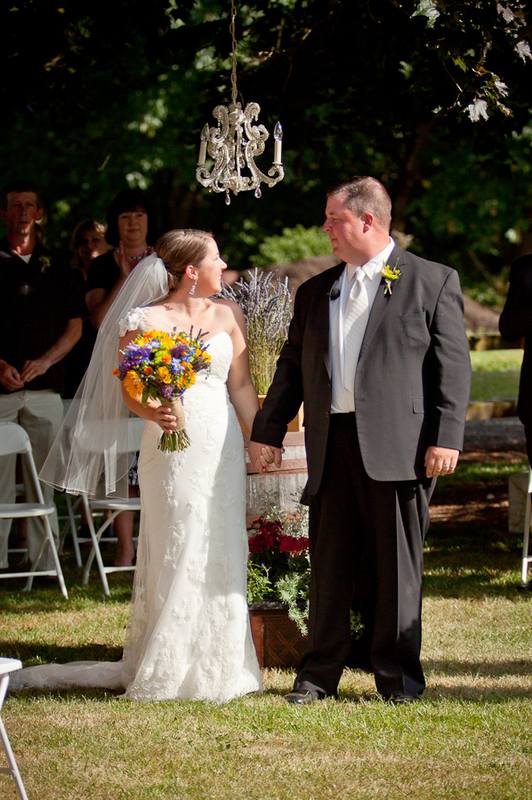 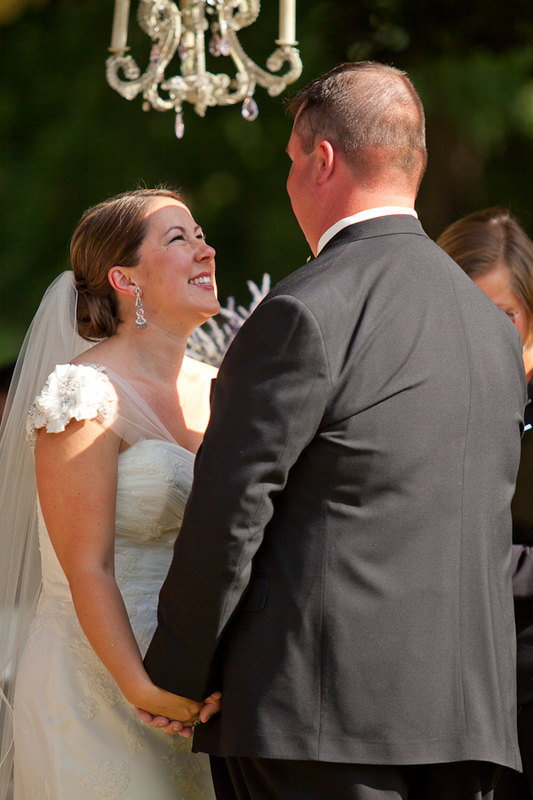 I loved the chandelier that they hung from the trees during the ceremony, and the ice cream sundae bar that they had in lieu of a traditional cake (perfect for a warm day!). 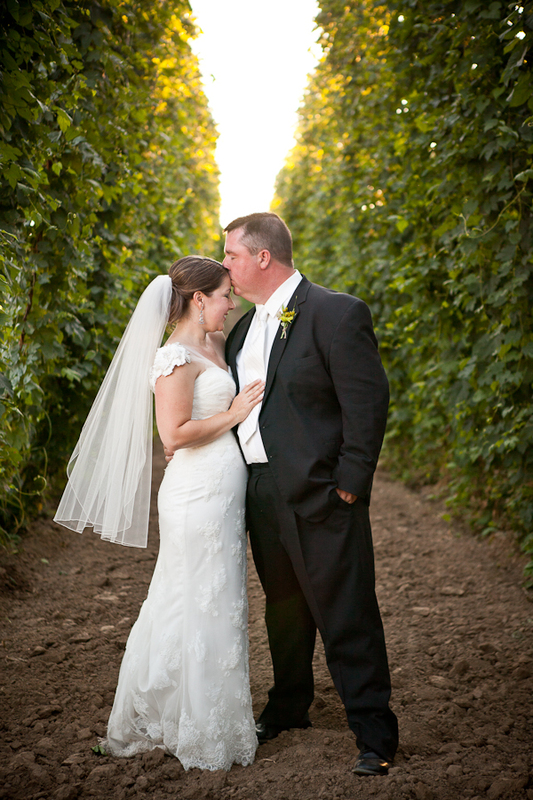 Some of my favorite pictures happened just before sunset when we were able to sneak away and pose a bit in between the rows of hops, they made a really striking background for a really sweet and wonderful couple!